Since day one, we have been and will continue to provide distinctive, residential inpatient treatment by offering all the most successful therapies under one roof, because we’ve witnessed their effectiveness. Clients come to us from all over the world and we welcome them into our program, proving care and a place to stay. This kind of inpatient treatment allows us to use lab work, counseling, peer support and 24-hour medical monitoring to guide medication tapering, holistic pain management, and addiction recovery in a way that gives us real-time feedback. This is instrumental to assess what is working, providing success for each patient. Because people are unique, individualized puzzles, working with them residentially allows for a more accurate picture to take shape and, subsequently, to realize a better version of their former selves. It can be said that our industrialized society is amidst a full blown assault on human physiology. With constant exposure to environmental poisons that our bodies and minds were not designed to handle, there are very real impacts to our mental health. Consider the poly-aromatic hydrocarbons in exhaust fumes, chemical additives to food, Mercury accumulating in our fish, flame retardants in our clothes and beds, benzene accumulation from plastics in our cars, neurotoxic pesticides, electromagnetic influences, medications, hormone mimickers and parabens in our hygiene products, and polychlorinated biphenyls (PCBs) leaking into our groundwater. Our holistic detox treatment program utilizes advanced methods to help alleviate the harm to the body and the brain to restore balance and optimize overall health. Our medication tapering programs are medically-supervised and customized to fit the needs of each individual. Our tapering methods are conducted at a rate that’s comfortable to our patients always involving them in the decision-making process. 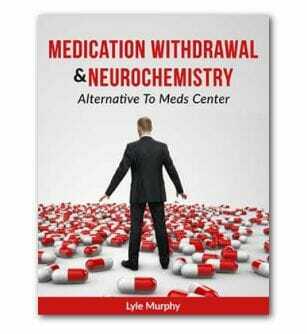 Additional modalities, including natural neurotransmitter support, neurotoxin removal therapies, and a therapeutic and peer supportive environment allow for a reduction in withdrawal symptoms. 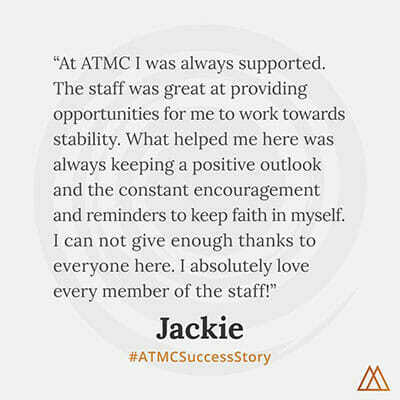 Our residential treatment program is like no other in the world. Not only are we fully licensed to treat mental health and addiction, but we focus specifically on medication reduction and holistic modalities that are not typical of other licensed centers. As a result, we are able to use many out of network insurance policies to help cover the cost of your treatment. That way, you or your loved one can receive the compassionate and highly effective care deserved. Alternative to Meds Center specializes in counseling those who are struggling with substance abuse, addiction and medication dependency. People come to our program from around the world to receive top level psychotherapeutic care as they go through the process of recovery. Using a multi-faceted, integrative approach to substance abuse treatment, we provide patient specific counseling from master-level therapists to help people heal past traumatic events, move through addictive behavioral patterning, and the get back into integrity with self, family and loved ones. All too often, psychiatric medications prescribed to people didn’t require lab work from patients to research for potential medical contributors to their condition. These kinds of tests can provide a medical perspective and reveal other sources for mental health symptomatology, or biophysical contributors to addictive cravings. Our genetic testing can reveal medication metabolism impairments as the source of ongoing medication side-effects. Nutritional deficiencies, blood sugar challenges, and thyroid issues can have far-reaching implications adversely affecting mental stability. One of the most successful inclusions to any program is peer support. Being with others who have suffered in similar ways to you and sharing success stories is one of the best therapeutic relationships that can come from inpatient treatment. Our patients find support in each other and often become lifelong friends. In addition, many of our staff have had similar experiences and operate from a perspective of deep, first-hand understanding. People who use drugs or alcohol habitually often have an accompanying mental health condition. This is known as a co-occurring disorder or dual diagnosis. But rather than labeling or judging people by their disorder, we see those afflicted with them as each having a positive light within, hidden by their illness. Self-medication can be a clue in the discovery of an impaired, yet correctable, biological feature. Our masters-level therapists are adept at realigning and restructuring thought processes, previously disorganized, to help heal and correct imbalance.